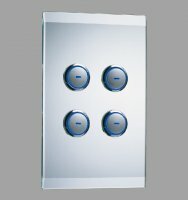 A range of different Cbus Lighting Switchplates (Light Switches) to suit all purposes. Simple lower cost fittings through to premium, modern, architectural and designer fittings that regularly grace the pages of Belle, Smart Home and House & Garden. 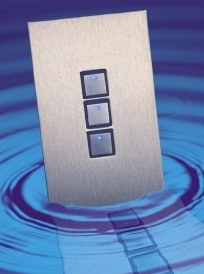 From the elegant glass Saturn series, the architecturally striking Reflection stainless series, the modern Saturn Zen through to the Standard and Metal Plate range, there is something to appeal to everyone.